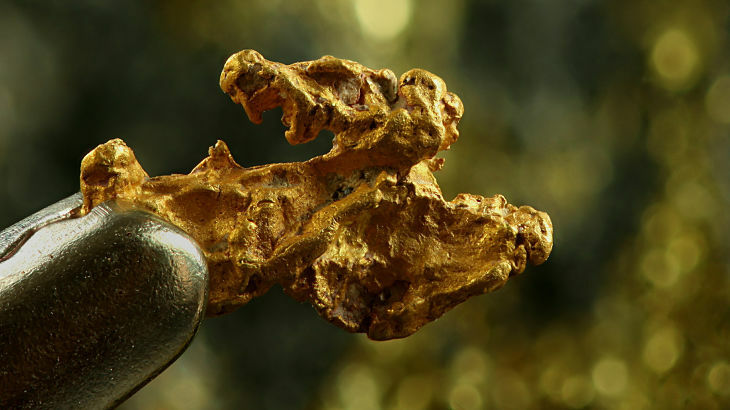 The VanEck Vectors Gold Miners ETF (NYSEArca: GDX) is up more than 2% over the past week and that could be a sign that the benchmark gold miners exchange traded fund is setting up for a significant move higher. There is at least one positive fundamental catalyst that potentially bodes well for gold miners ETFs going forward: Peak production of gold has likely come and gone, perhaps indicating that supply will dwindle, thereby boosting bullion prices. “The significant increase in Large Spec long positions this past week in gold and silver from a very low level might be cause of concern to some, since it of course increases the risk of a reaction in these metals, but there is another much more positive way of looking at it, which is that, in the face of a continued albeit incremental rise in the prices of gold and silver, the Large Specs have suddenly realized their mistake in bailing out over the past couple of months, and are scrambling to get back on board,” reports ETF Daily News. Popular leveraged gold miners ETFs include the Direxion Daily Junior Gold Miners Index Bull 3x Shares (NYSEArca: JNUG), the triple-leveraged answer to the popular VanEck Vectors Gold Miners ETF (NYSEArca: GDXJ). The Direxion Daily Gold Miners Bull 3X Shares (NYSEArca: NUGT) is JNUG’s large-cap counterpart. Data suggest that over the past month, aggressive traders have been flocking to JNUG and NUGT as both leveraged miners ETFs are averaging big inflows on a daily basis over that period.